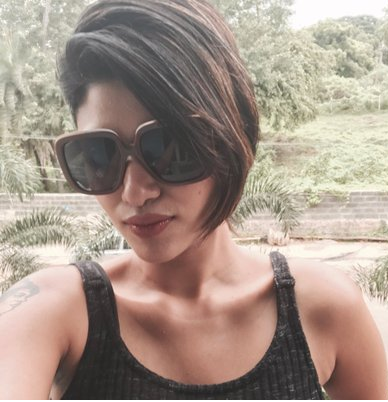 The model and actress, Oviya Helen, who gained a lot of love from her recent reality show, the first season of Bigg Boss Tamil, is marking her steps wisely after she is out of Bigg Boss Home. The actress has already started getting a lot of film offers and show. Recently, on Monday, Oviya was seen inaugurating a textile showroom in Chennai. And fans of Oviya seems to show so much love at the location that the beauty dint make them sad, instead answered few questions when asked. According to sources, The new beauty Oviya seems to charge a heavy amount to the store. A total of Rs. 1.5 crore was the singing amount, which is the highest for any actress in South India. Recently, Nayanthara charged the highest for the dish network commercial. The actress, who may appear in a leading role in Vijay Varadaraj, the actor and YouTuber’s next, Pallu Padama Paathuka, under the banner of Blue Ghost Pictures. Though no official details have been announced, it may be a horror comedy and is expected to come with adult comedy situations. The actress was also asked to play the leading role in Kalakalappu 2, the sequel of 2012 super-hit film, Kalakalappu. But she seems to select even better than this. Later, Nikki Galrani gave the news to the media that she will be the leading lady for Kalakalappu 2 soon they’ll be starting the shoot from October. Also, the lady told her fans that she’ll be part of the 100th episode of BigTelugu Tamil.